F&F Trends in India - IGCC - Ultra International B.V.Ultra International B.V.
Ultra recently contributed to an interview undertaken by the Indo-German Chamber of Commerce on the current and future trends in the Global F&F World with a focus on India. The IGCC support German companies wishing to do business in India on maters like taxation, legal services and recruitment. Over the last 7 years they have supported more than 170 German companies to get established in India. Details of the Q&A interview can be read below. Ultra International Ltd. (New Delhi) is a leading company in the F&F (Flavours and Fragrance) industry with a vision to be the “Essential Source of Sensory Innovation” for customers, driven by a mutual passion for excellence. The IGCC spoke to Jonpaul Howarth – Vice President of Ultra International B.V. (The Groups Ingredient Division) to know more about the F&F world, current and future trends globally and in India. Q: Please tell us in brief about your success story in the fragrance and flavor world. A: Ultra International has over 80 years’ industry experience in trading natural and synthetic ingredients, and since 1987 has been developing and manufacturing fragrances and flavours. Today Ultra holds a leading position in the Indian domestic fragrance market (of any non-multinational) and we see our long-term growth in international markets. Ultra has always invested in new product development with the people we employ and train and also with state-of-the-art technologies. Ultra also invests in educating the markets about natural ingredients and global trends, which establishes trust and credibility with our clients when they enjoy successes based on our expert opinion. 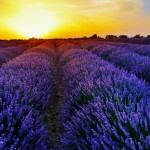 Q: What are the current global trends in the essential oils and fragrances segment? A: Natural fragrances are nothing new – the trend has been around for many years, but there is a year-on-year increase in both consumer awareness and the controls and technologies needed to ensure a sustainable supply of natural ingredients, critical to the success of natural fragrances and flavours as they replace unwanted aroma chemicals (synthetic molecules). The core essential oils remain the same (lavender, lemon, lime, orange, patchouli etc. ), but more cultivation and better farming techniques are allowing historically niche products to enter the market, bringing with them new sensory experiences and in some cases, inner health benefits. Fashionable and niche brands are continuing to enter the market with relatively greater success as well as more premium brands, with consumers being prepared to pay more for their ‘natural’ products. Today there is a trend towards more unisex fragrances. Women are trending towards earthier notes usually associated with masculine fragrances whilst men are looking more towards a fresh, clean note that used to be only available in women’s perfumes. Q: You celebrated your 10th anniversary of being in Europe last year. What do you think of the European market (especially German) and what are your expectations for the future? A: Ultra’s natural ingredients business across Europe has been flourishing, including growth across Germany. The F&F sector in Germany has always been strong with localized compounding. One of the industry’s global top 10 companies is based in Germany along with a growing number of successful mid-size F&F companies. Ultra’s ingredient business has been growing strongly over the past decade, as has the market in Europe. In global terms Europe is the leading market for essential oils with a global market share exceeding 40%. This is attributed to a greater awareness amongst consumers regarding health benefits offered by natural and organic products. Although Europe’s overall global market share may not grow due to faster growth from some emerging markets, the size of the market itself is expected to continue to grow at around 9% a year. With this in mind, Ultra is working hard and continuing its efforts to secure supplies through more investments aimed at vertical integration. Q: Can you tell us about the Indian market with respect to your products? How is it likely to develop in the future? A: Today India’s F&F industry in India is at crossroads, finding it difficult to balance the rising raw material costs and the falling prices of compounded products (flavours and fragrances). However, there is still growth in absolute terms. Rising incomes, quality education, and more awareness mean a higher inclination to spend on quality lifestyle products for home and health, personal grooming and social symbols. Also the demand for flavours will continue to rise as the processed food market continues to grow. Regular use of F & F in a product is no longer a luxury but a necessity for Indian consumers. F & F ingredients that are novel will continue to be popular and gain better and faster acceptance. Q: Food & Beverages is the dominant segment within the essential oil market buy generic antabuse. What is your forecast for this market segment at a national and international level? A: Food & beverages is the dominant segment within the essential oil market commanding a market share estimated to be over 30%. Rising incomes and urbanisation are driving interest in convenient packaged foods. This will boost growth in the food & beverages market, as packaged goods require high flavouring loadings to preserve taste lost during large-scale manufacturing. The flourishing food industry and the increasing demand for processed foods, mean that the F&F industry in India will witness strong growth. It’s both an exciting and challenging times as the global essential oil market is set to reach a staggering €10.50 billion by 2022. Today it is estimated to be at €5.00 billion. That’s around a 10% year-on-year growth. Ensuring sustainable ingredients supply, and focusing on innovative new products to cater for a changing consumer market, will be key to our industry’s future successes.